Political talk at work: could you be fired? Are you with her? With him? With no one? Are you over the whole thing? 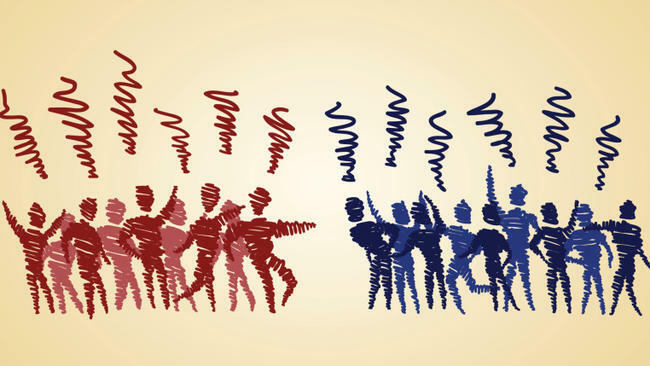 Statistically speaking, you’re 46 percent guaranteed to be involved in a political discussion at work during this campaign season, regardless of how hard you try to avoid it. Also, according to a study by CareerBuilder, more than one in five of those discussions will lead to a heated word exchange or an actual fight between co-workers. If you’re one of the participants in that confrontational exchange, could it get you fired? Yes. But you might be surprised to learn that you also could face termination for emailing political cartoons to co-workers or posting a blog stating your feelings about a local campaign while using a work computer after hours. How is that possible when you are constitutionally entitled to say whatever you want, wherever you want, regardless of whom vehemently disagrees with your views? The First Amendment was ratified in 1791 to ban government censorship of speech, not private company censorship, and that’s the rub. The Federal Government allows private employers great latitude, even to bar political discussion altogether while you’re on the company clock. In fact, it may be perfectly legal for some businesses to demand that their salaried executives publicly support the company’s political best interests as championed by a particular candidate (regardless of their personal voting preferences). Public employees may have more protection at the federal level, but limits to campaign chatter may also be imposed there if the speech interrupts business operations or philosophies. That said, some states do go the extra mile to ensure protection for employee political expression. In fact, many states mandate that companies allow employees time off to go to the polls to vote on Election Day. However, all states recognize at-will employment rights, meaning an employer can discipline or discharge an employee at any time for legitimate, business-related reasons. Most employee manuals are purposefully somewhat vague to cover as many situations as possible. For example, let’s say the company prohibits an employee from disrupting co-workers, interfering with business objectives, soliciting for any outside cause (hint: this includes a political campaign), or engaging in activities during the workday which interfere with their own work, and it also limits company IT resources to company work. So long as the company applies these policies uniformly, a termination for that heated discussion or those emails might be defensible on more than one of those points. In the real world, the company can’t police every conversation and doesn’t want to, and it actually benefits the company if we are open to conflicting points of view. 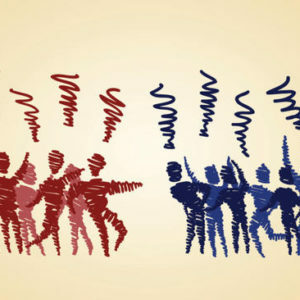 But when it comes to political campaign speech, words most often come to blows when one person either tries convince someone to change their vote or they come too aggressively to the defense of a different candidate. If you can’t sidestep a discussion (or if your boss presses you into one), experts suggest that you set ground rules, like agreeing to disagree without malice or without personally belittling each other or the candidates. Ask questions; be honestly curious and try to discover what it is that attracts them to the candidate. Showing interest, asking questions and engaging in thoughtful, respectful debate raises the standard and quality of the exchange. Let’s take political speech to a non-defensible outcome in the workplace. A manager or co-worker says he or she doesn’t think a candidate is qualified because they are “too old” or because of gender, religious background, or because the candidate’s views on pay equality or family definition are too progressive. Now we’re moving into the hostile work environment and discrimination arenas and nobody really wants to go there. Take the high road; political campaigns are short-lived, but it takes a lot of investment to build strong work relationships and to sustain upward career growth.